Part of OnePlus marketing hype was talking up its extremely slim bezels, its large display, and how much screen real estate users would be getting out of the device. Many of the OnePlus ad campaigns across social media were comprised of stacking their own device up against the competition with spec list comparisons, but then the leaked images started to roll out and one of the pictures thrown out by OnePlus themselves gained them plenty of attention. 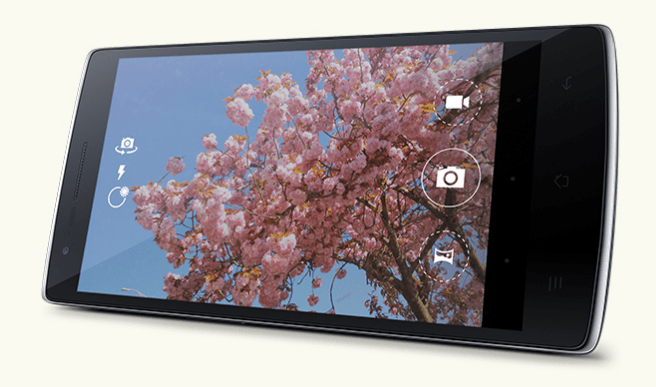 It was a simple little image that showed a picture of a Sony Xperia Z1, not the OnePlus One. Why show us a picture of a flagship device from another company? Simple, they were trying to demonstrate that the OnePlus One, while having a 5.5-inch display with ultra slim bezels was able to fit beneath a Sony Xperia Z1, which was a device with a smaller display. This was simply to illustrate their point that the OnePlus One was mostly all screen, and the image got the point across fairly nicely, although some people thought there was more to it. Now that the phone has been released and we have exact specs and dimensions of the device, it’s become clear that the OnePlus One couldn’t entirely fit under the Sony Xperia Z1. However, the only part of the device that isn’t hidden is the area where the soft keys sit. The entire display itself is hiding under the Z1, which is pretty impressive. OnePlus was sure to catch a lot of negativity for this little stunt, but they really didn’t do anything wrong if you think about it. They never once stated that the entire phone from end to end was hidden under the Xperia Z1. They simply showed an image that showed a Z1 and asked what was hiding under it, later to reveal that it was the OnePlus One. Watching the video of course reveals that the the bottom edge with the soft keys peeks out, but when you get right down to it OnePlus was still able to “fit more Into less” with their very first flagship device. With the launch dates for the 64GB sandstone black model of the OnePlus One getting bumped up by potentially a couple weeks, the slim bezels are looking more and more appealing. The post OnePlus Video Shows That The One Was Indeed Hidden Under The Xperia Z1 appeared first on AndroidHeadlines.com |.